Who is the Concrete Paparazzi? A little removed from Calcutta’s (Kolkata) old Chinatown in Tiretta Bazar, on 19-20, New Meredith Street stands the Choong Ye Thong Church or Chinese temple. The quaint little building has enough architectural uniqueness to make it stand out from the other structures in the area. 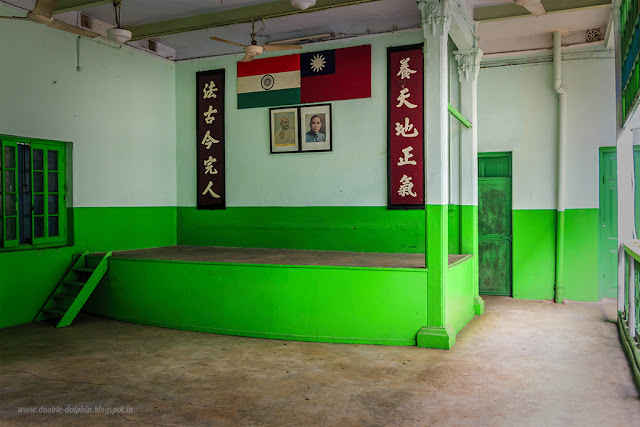 But few Calcuttans ever venture inside the building, and fewer still know, that this building once served as a school started by Calcutta’s thriving Hakka Chinese community. HAKKA PEOPLE? ISN’T THAT A KIND OF NOODLE? To an ordinary Bengali in Calcutta, the word Hakka would mean a variety of dry, stir-fried Chinese dishes, particularly noodles. The other option that restaurants offer is “Cantonese” style noodles, which is served with gravy or sauce, usually thickened with corn starch. My Chinese friends assure that there is nothing Chinese about gravy noodles. “If you think logically”, says my colleague Robin Lai, “gravy is really difficult to eat with chopsticks”. Few ordinary Calcuttans are aware, or indeed have ever bothered to find out, why stir fried dishes are given the label Hakka. The name Hakka means “guest families”, which is perhaps kinder than saying, immigrant or refugee. The Hakka people are a subgroup of the Han Chinese ethnic group. It is commonly held that they originated from China’s central plains, in today’s Shanxi and Henan provinces. Since the Qin dynasty (221 – 2016 BC), the Hakka have been migrating to southern China to avoid famines, war, and social upheaval. In China today, the largest numbers of Hakka may be found in the Guangdong (Canton), Fujian and Jiangxi provinces. It is primarily from Guangdong that vast numbers of Hakka moved out and settled all over the world. Hakka communities were primarily agrarian, but as they migrated to areas which were already populated, they found little land left to them. The community then turned to military and police service, which is why the Hakka still place great stress on formal education. As the Hakka spread all over the world, they took their cuisine with them. Hakka food is shaped by the community’s unique history. “You see, we were not very rich, and we were nomadic”, says Mrs. Sandy Ao, a Calcutta-born Hakka, “When you are poor, you cannot afford to fall sick, and you cannot afford a lot of firewood. So your food has to be healthy, tasty, but at the same time, quick-cooking”. Hakka food uses a lot of preserved meat and places emphasis on the texture of the food. The cuisine also adapted to include whatever was locally available, as the community moved. Hence, Hakka cuisine from the coastal areas of China, for instance, uses a lot of seafood. Today, the majority of dishes served by Chinese restaurants worldwide, are Hakka dishes, and that is how Calcutta got its “Hakka noodles”. Yam Mein, fresh noodles, boiled and served straight out of the pot, mixed with lard, chopped spring onions and with freshly made boiled wonton or just fried mince, is also a Hakka noodle dish, but the majority of Bengalis who claim to love Chinese food have never heard of this. SO HOW DID THE HAKKA END UP IN CALCUTTA? Calcutta’s (Kolkata) Hakka come primarily from the Guangdong province, and according to Mr. Paul Chung of the Indian Chinese Association, they were mostly unskilled. Hakka historian Hsieh T’ing-yu writes that the Hakka are a “strong, hardy, energetic, fearless race…unhampered by the prejudices or easy-going slackness of the old landowners”. In the Calcutta (Kolkata) of the 18th century, the majority Hindu community refused to touch leather, because of religious prejudices. The hardworking Hakka did not think of any work as beneath them and found a perfect niche in the leather business. During the 80’s, the community moved to the Tangra locality of eastern Calcutta. Tangra would eventually come to have some 350 Hakka tanneries, which the Hakka built by reclaiming marshy land. Tangra remains Calcutta’s second and now better known Chinatown and is known for a large number of Chinese restaurants serving Hakka style Chinese food. Even today, the Hakka remain the leaders in the leather business in eastern India. In the mid 19th Century, Chinese businesses were thriving in the Tiretta Bazar area. The Hakka had their shoe shops, there were Chinese carpentry shops, laundromats, sauce factories like Sing Cheung, Hupeh dentist clinics and many other businesses. As the Chinese prospered, expanded their stores and hired help, the owners were left with more time to socialize. The workshops became places where they gathered, celebrated festivals and weddings. It was only natural that Taoist idols would be installed in these workshops. As the community grew, the need was felt for a single site which would have a temple, school, and club. Blogger Rangan Datta writes that the Choong Ye Thong Temple is run by the Choong Ye Thong Club, which was established in the 1860s by Hsieh Qui Chong. The club is still active and is located behind the Sea Voi Yune Leong Futh Church in Tiretta Bazar. Like the other clubs of Tiretta Bazar, it controls the temple and a Chinese cemetery in Tangra. Although the club was started by the Hakka shoemakers, to build the school and temple on New Meredith Street, all Chinese communities in Tiretta came together and donated money. Chinese businesses donated large sums. That original building was demolished to make way for the present 3 storeyed building, which was built around 1932. 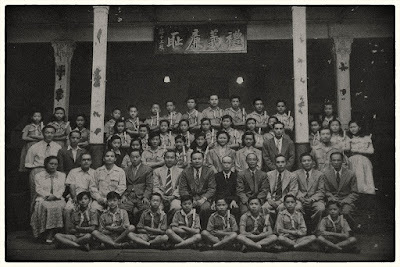 Mei Kuang, also spelt Mui Kwong or Moi Kwong, was the name of the school that the Chinese community set up for their children. Mei meaning plum, is a symbol of the Hakka people and Mei Kuang means “Hakka Shining”. By today’s standards, Mei Kuang would perhaps be considered somewhat informal. Not all teachers had the mandatory B.Ed. degree for instance, but it was the only way the Chinese had to ensure that their language and culture got passed on to their children. In the 1960’s some 500-600 Chinese kids studied at Mei Kuang. Among them was Mrs. Sandy Ao. In 1969, Mrs. Ao started studying art in the Government Art College on Chowringhee. The school requested her to teach art to Mei Kuang’s students, and so she started taking classes, one afternoon of every week, from 2 to 3:30pm. Mei Kuang started as a primary school, ending at the 6th grade. Those who could afford it, sent their kids to Jesuit schools, and there were elite Chinese schools such as the Shing Hua High School which received its funding from the pre-communist Republic of China. 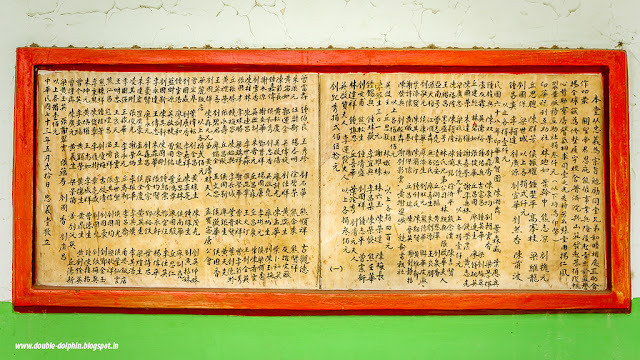 Mei Kuang would later expand into a high school, ending at the 10th grade, although the term the Chinese use, “Chung Hok”, is closer in meaning to middle school. But what was a student to do after he or she completed the 10th grade? There were two options. They could continue in non-Chinese schools in Calcutta. But there, the medium of instruction was English, a language in which they had not acquired an adequate amount of proficiency. The other option was to travel to Taiwan and continue education in a Chinese environment. But this was expensive and not everyone could afford it. Besides, says Mrs. Ao, the Chinese were a conservative lot. “Why would you want to send your young daughter hundreds of miles away from home to a place she had never been before?”. More and more parents began to opt for a non-Chinese education for their children in Calcutta, to help them get ahead in life and fit in. To top it all, the Chinese in India had faced persecution at the hands of the government in the aftermath of the 1962 Sino-Indian war and had begun to leave India. With the number of students going down every year, Mei Kuang eventually shut down around 1988. IF KALIGHAT IS FOR KALI, WHO IS CHOONG YE THONG FOR? Mei Kuang occupies the ground and first floors of the building on New Meredith Street. 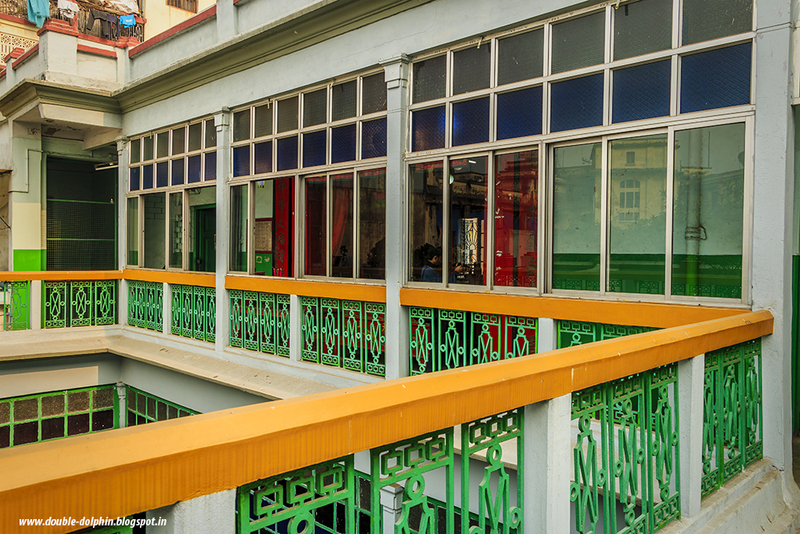 The top floor of the building houses the Choong Ye Thong temple. The ornate shrine contains two deities. One of them is fair and robed in green, the other is darker, and robed in yellow. 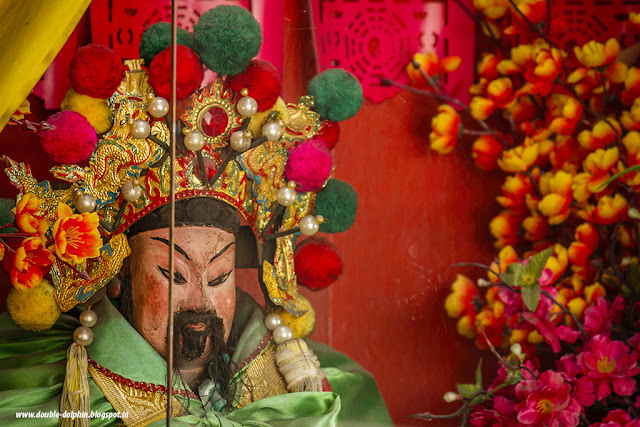 The fairer of the two deities is Guan Yu, the Chinese God of war, who is actually a deified Han Dynasty general, or in simpler language, a man who became a God. Guan Yu, who is also called Kuan Ti or Kwan Ti, played a significant part in the civil war that ended the Han Dynasty. As stories of Kwan Ti spread far and wide, history was slowly replaced by legend and today, temples to him may be found in China, Taiwan, Hong Kong and any other place with a large Chinese community. Kwan Ti is worshipped in Taoism as well as Chinese Buddhism where he is seen as Sangharama Bodhisattva, a heavenly protector of the Buddhist religion. No physical description of Kwan Ti is available, although one text notes that he had a beard. He is traditionally portrayed with a red face. 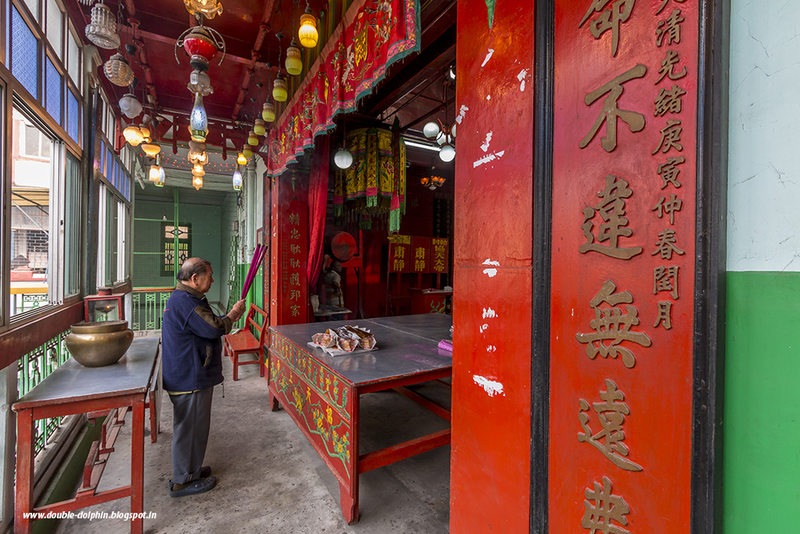 Toong On Church on Blackburn Lane in Tiretta Bazar is also a temple to Guan Yu. 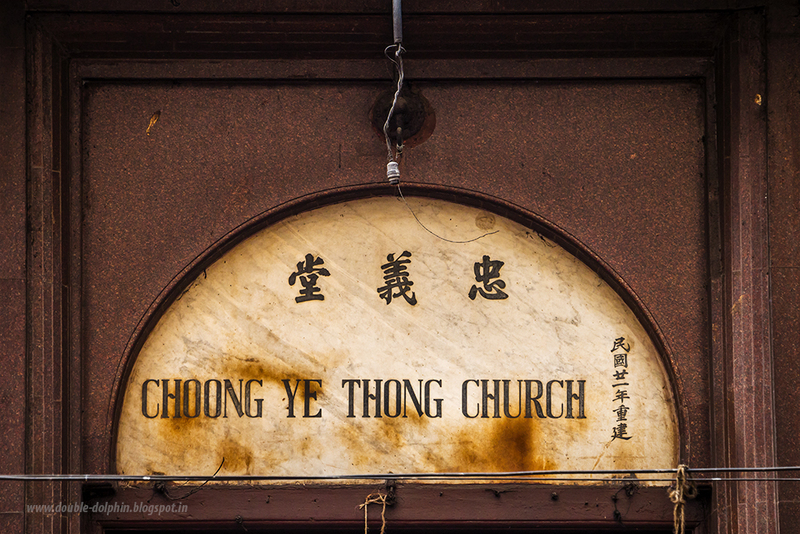 But what does the name Choong Ye Thong mean? Choong means loyalty, Ye means righteousness and Thong means hall or court. So I guess “The Court of the Loyal and Righteous” would be a fairly accurate translation. 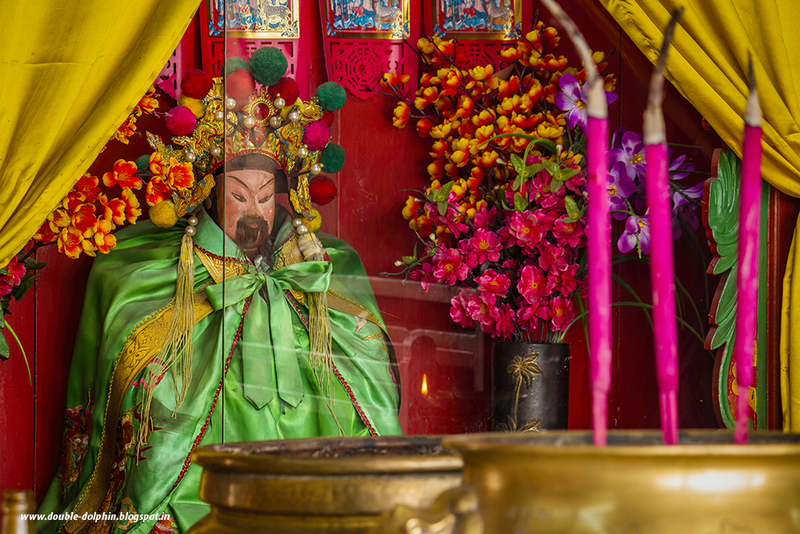 Loyalty and righteousness are two qualities that are associated with Guan Yu. The other deity in the Choong Ye Thong temple, darker and yellow robed, is Caishen, the Chinese God of wealth. Several historical characters are said to be embodiments or incarnations of Caishen. Among them is Bi Gan, a prominent figure from the Shang Dynasty (1600 – 1046 BC). Like Guan Yu, Caishen is worshipped in Taoism as well as the traditional Chinese folk religion. 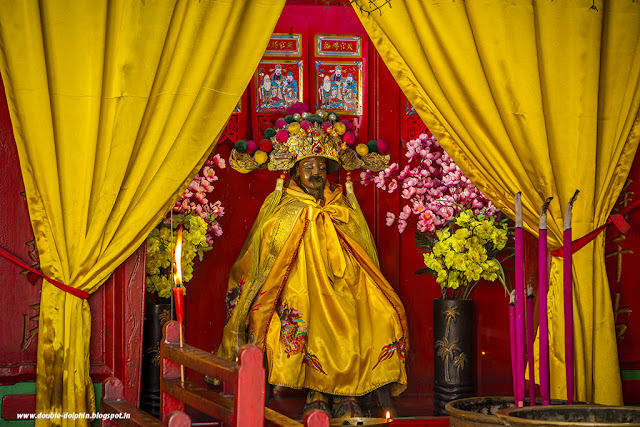 Religion among the Chinese tends to be a lot more fluid, with ancestors and historical figures finding a place at the altar and Buddhism, Taoism, Confucianism and traditional folk religion often blending together under the same temple roof. 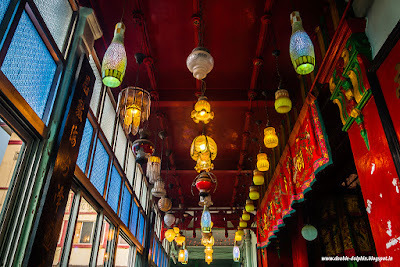 What makes Calcutta’s Chinese temples unique is the fact that worship here has continued uninterrupted since their inception in the mid 19th century. In China, the infamous notification of 16th May 1966 started the Cultural Revolution, 10 years of persecution and vandalism, during which communist Red Guards under the woefully short-sighted leadership of their Chairman Mao Zedong, destroyed vast numbers of Chinese historic sites and relics and attempted to wipe out religion from the country. 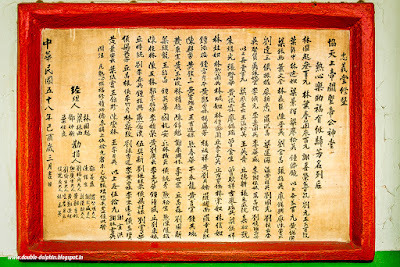 This broke the connection the Chinese had with their past and today’s Chinese mainlanders do not worship in the same way as their ancestors simply because they do not know how to. 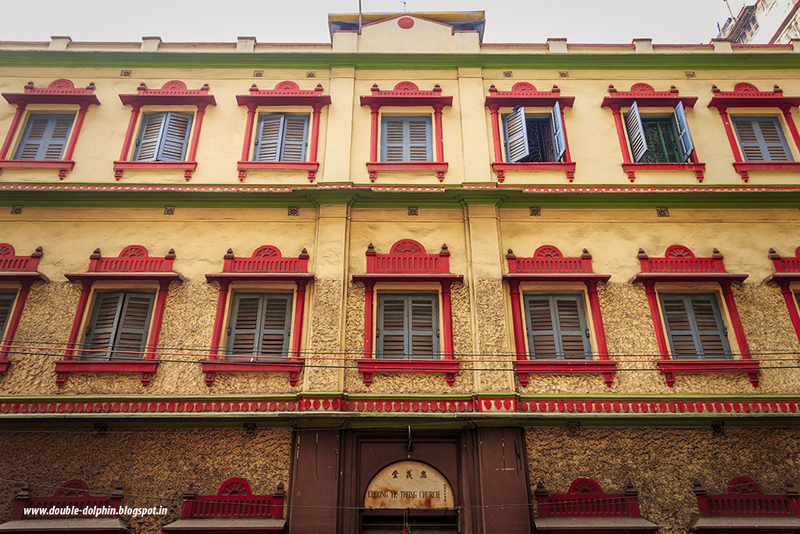 Calcutta’s (Kolkata) Chinese temples, therefore, offer a glimpse of how things were before the Cultural Revolution. Mei Kuang is now no longer operational, but the building is used as a community hall by the Hakka. Through the main gate, one enters a large courtyard. A stairwell to the right of the gate leads the visitor up. The far wall on the ground and 1st floors contain several black and white framed photographs. 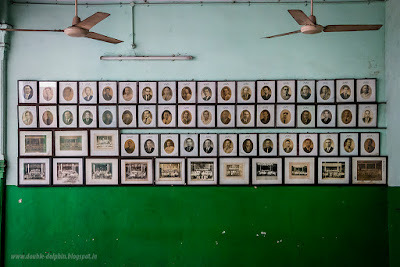 While some of the photographs are portraits of men who I guess were either prominent members of the Hakka community of Calcutta or associated with the school, others are school group photographs. Everyone in the photographs is formally dressed, a reminder of a more elegant time. 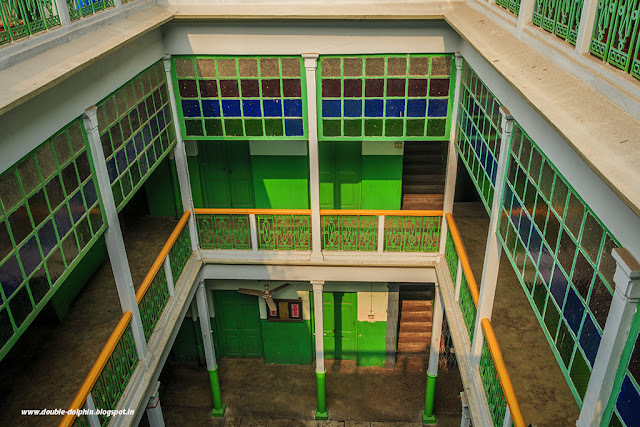 On the 1st floor, there is also a small stage, probably used for school assemblies or cultural programmes. 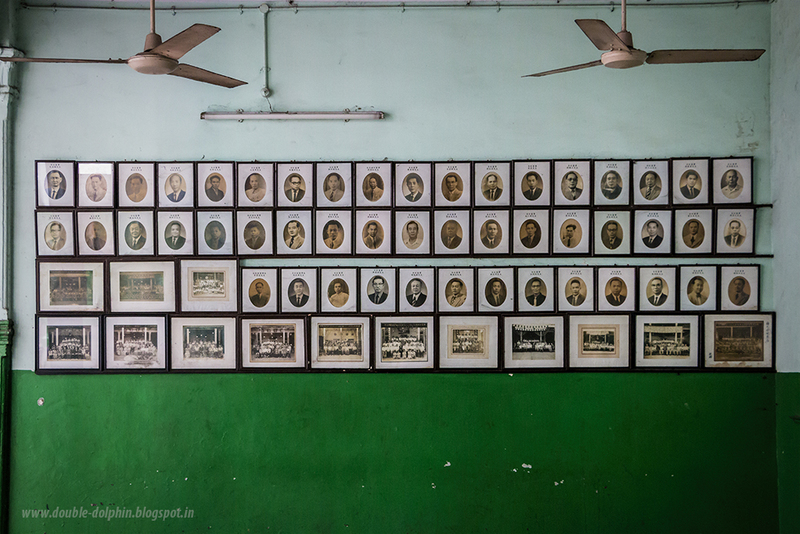 On the wall behind the stage are photographs of Mahatma Gandhi and Sun Yat-sen, each referred to as “father of the nation” in his respective country. 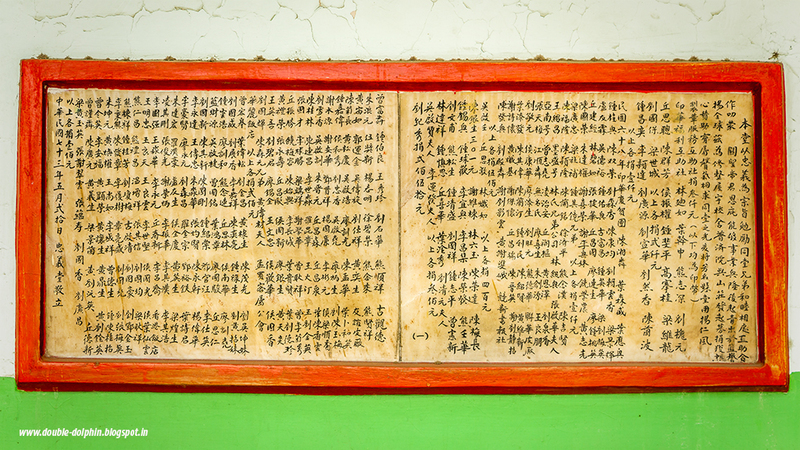 On either side of the stage are two scrolls on which is written a couplet. A very prosaic translation of this would be, “Nourish the spirit of universal morality” and “Emulate the perfect men of all ages”. 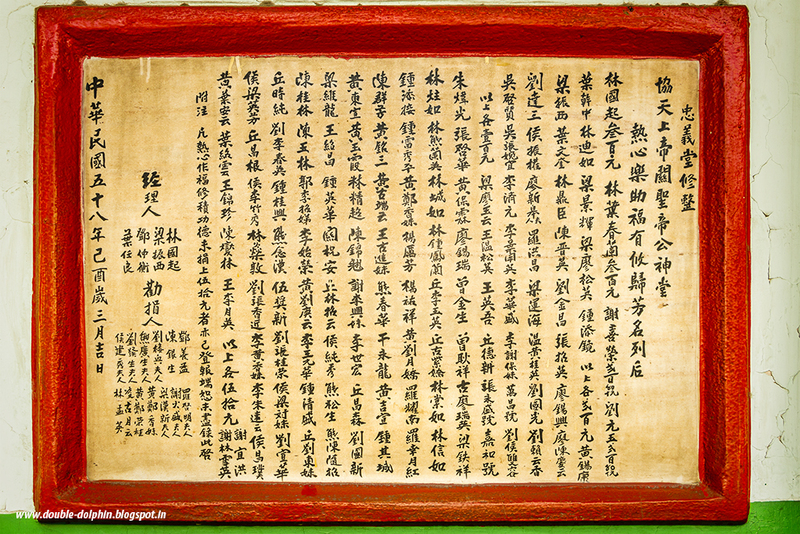 This served as a motto of the Mei Kuang school. Above the photographs of the two men are two flags. One is the Indian flag. The other is what non-Chinese would identify as the flag of Taiwan, but for the Chinese this is their national flag, the flag of the republic, and it symbolises the end of Manchurian rule in China. The Choong Ye Thong temple is on the North Eastern side of the roof. Beautiful lampshades hang from the ceiling of the passage in front of the shrine. 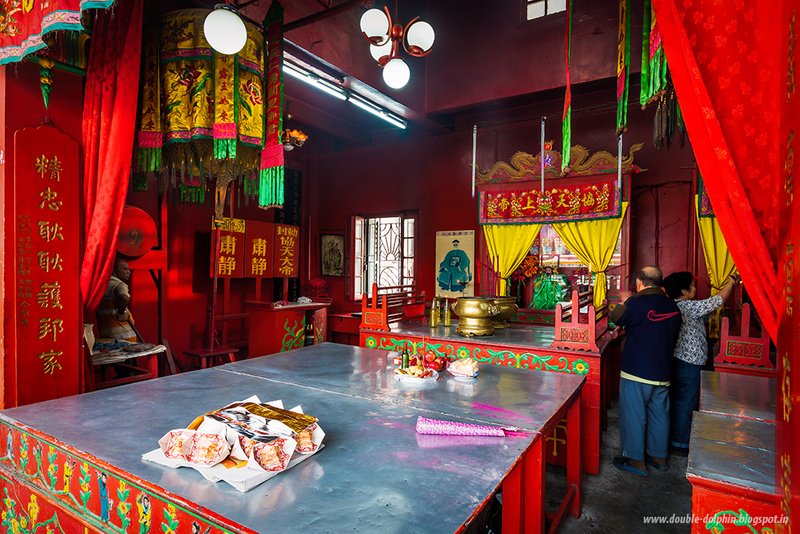 Like all Chinese shrines, there is a preponderance of red, since it is considered a lucky colour. Unlike other Chinese temples, I did not find ceremonial weapons on display inside the shrine, but there was a large drum, which is used during worship. The tables in the shrine have interesting miniature figurines painted on them. Large brass pots are placed in front of each shrine to hold massive, pink incense sticks, the biggest I have ever seen! There are plaques inside the building, on either side of the temple which list 2 sets of donors. The plaques are dated May 1984 and March 1969 and say that the money was for repairs to the building and the altar of the temple. The other interesting thing about the building is that the Mei Kuang school seems to have a chamber of secrets! This is a room on the 1st floor that is always locked. Some say that it was a museum containing many specimens of rare, stuffed animals. Others say it contained Chinese instruments, some rumoured to be made of precious metals. Mrs. Ao is certain that there was some exquisite Chinese bamboo furniture. “Bamboo, not cane”, she insists. There are rumours of theft of some of these articles, and the room is now out of bounds to visitors. 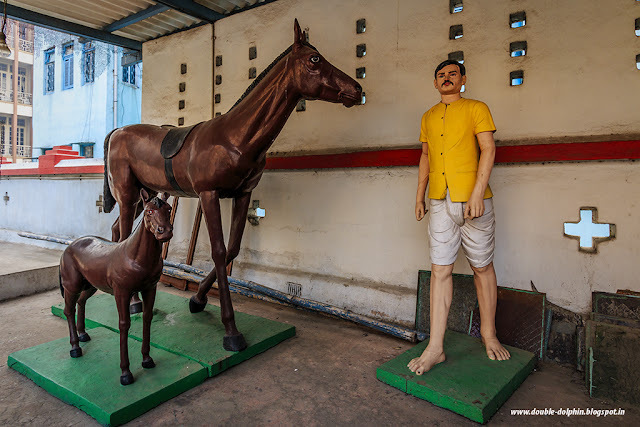 It is a great pity, because if there was a small museum of Chinese articles (blogger Rangan Datta says he once saw a Chinese weighing scale that had only one arm! ), it would be quite something. As I stood there and observed an elderly couple in worship, I was struck by how different this was from anything a Bengali would associate with Calcutta. When someone says Calcutta, the images that immediately come to mind are those of the Howrah Bridge, hand pulled rickshaws (which the Chinese introduced), the green shuttered windows and red walls of North Calcutta and of course, Victoria Memorial. Ho Yuan That of the Nam Soon Church had told me on one of my first ventures into Chinatown that it would take me a while to be accepted and welcomed. The Chinese are very private people, he said. Perhaps it is because they have kept to themselves for so long, that this part of the city’s heritage has not made a big splash on social media, especially the photo-sharing sites. If you know, you know. If you don’t, you’ll never find out. Lilian Liao, an Indian of Hakka ancestry says, "Hakka people are like a Clan. As Clansmen, we like to follow our own traditions passed down since the Tang Dynasty. Others might find it strange, nevertheless, our Elders are very protective of our rich cultural and believe our business is our business and no one else's". The other feeling is one of sadness, one that I feel when I walk into Calcutta’s synagogues. This was a school and the doors to the various rooms still have their nameplates, with things like “Game Room” written on them. The rooms and passages should have been echoing with the high-pitched voices and giggles of children, the stern voices of teachers trying to discipline them, the pitter-patter of little running feet. Instead, what I found was an all-pervading silence. Could this not have been turned into a regular school? The decision, of course, lies with the club. Today, the Chinese are everywhere. They are building ports in Pakistan and highways in Africa. They once worked on the railways in America and even in the Botanical Garden of Rio de Janeiro. But as their numbers in India dwindle, I wonder what is to happen to their legacy here? Will the Chinese temples of Calcutta be forgotten? Or will the Chinese fight to preserve what their ancestors built, in the City of Joy? Only the Chinese can answer this question. WHEN TO VISIT – Choong Ye Thong remains closed through the week. It is open for a short time for worship around 7 am on Sundays. To avoid any problems, seek permission from the temple authorities for photography etc. 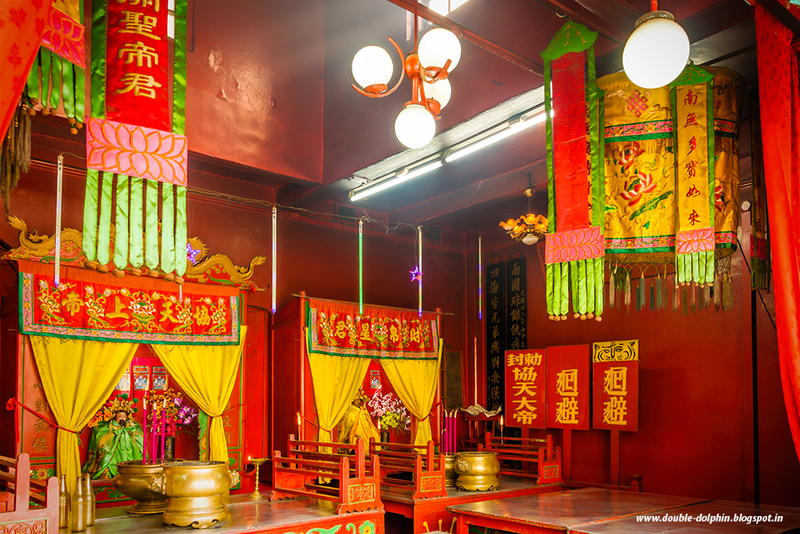 The best time to visit Choong Ye Thong would be around Chinese New Year. My thanks to David Chen for permission to enter and photograph the temple. Thanks to Mrs. Sandy Ao for agreeing to be interviewed for this post, and to her son Allan and daughter-in-law Mahua for a most entertaining evening and a delicious Japanese dinner. Thanks also to Yeeva Cheng, Sung Chou, Melinda Liao, Lilian Liao and all the wonderful people in the Hakka from India facebook group. All content copyright Deepanjan Ghosh. Do not reproduce without permission.. Simple theme. Powered by Blogger.